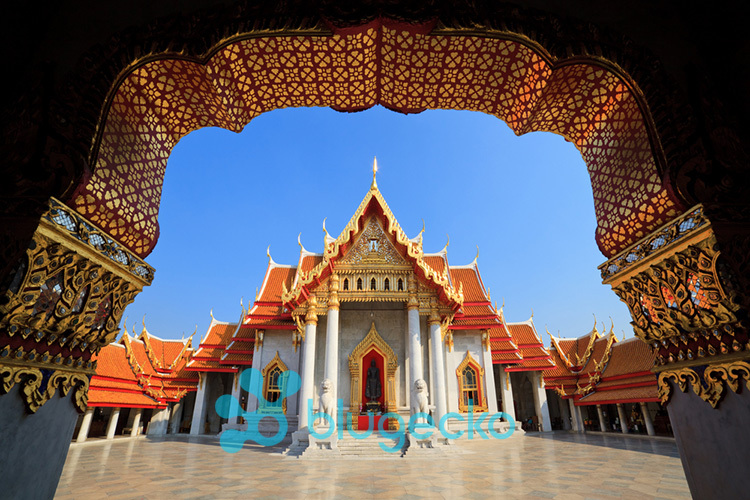 We will pick you up from your Bangkok hotel and proceed to visit three of Bangkok's most interesting and spectacular temples. 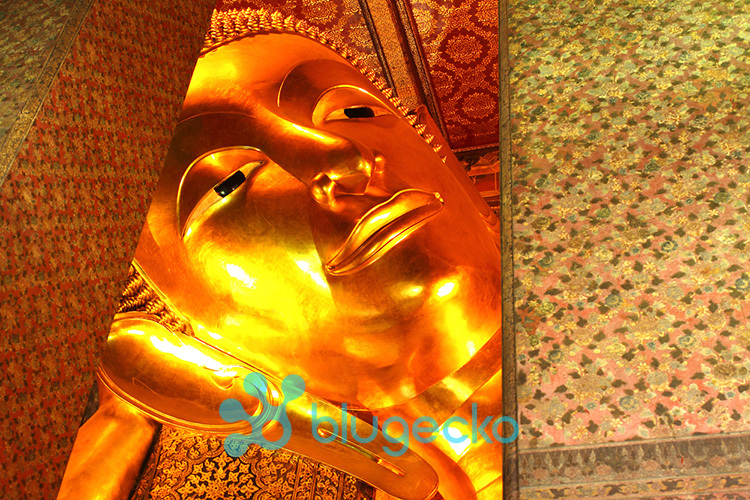 We will visit Wat Po which is central Bangkok's oldest and largest temple complex, and is famous for its giant reclining Buddha image. 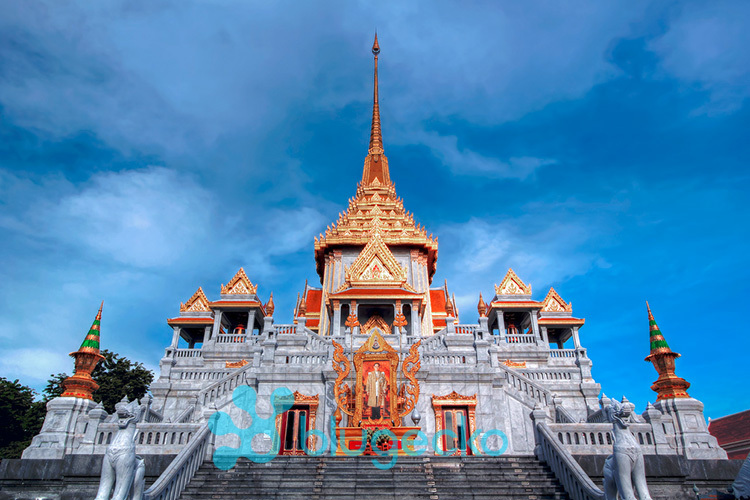 We will visit Wat Traimit in the Yaowarat (Chinatown) district of the city, here you will see the giant Buddha image reportedly made from 5 tons of solid gold! 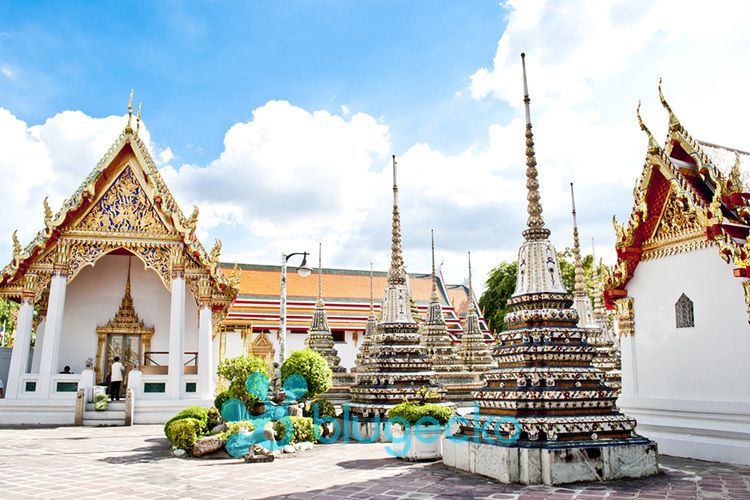 the third temple in this half day tour is the Iconic riverside Wat Arun which will will reach by cross river ferry. On this half day tour you will also take a walk around bangkok's largest fresh flower market at Pak Klong Talad. This tour includes transfer to and from your Bangkok Hotel. Please be ready and waiting in the lobby of your hotel before the pick up time specified on your booking confirmation. Please specify your hotel and its address on the booking form. If you do not have a hotel booked we can still process your booking but please inform us of your hotel at least 3 days prior to departure.  For group tours transfers can be arranged for most city hotels for group tours transfers can not be arranged to some outlying hotels or hotels on the west side of the river. (for join in group tours we do recommend you have your hotel booked before proceeding with the booking in case there is an issue with your hotel) For private tours we can arrange transfers to and from all hotels (an extra charge will usually be incurred for outlying hotels). If there are any issues with your specified hotel we will inform you before we ask for payment and process your booking. A limited amount of accident insurance is provided to cover some medical bills in case of an injury but it is advised that you have your own comprehensive accident insurance. Exertion levels are light on this tour with a few short walks between attractions. There are steps and slope. No meals are provided on this tour. This is a half day morning tour and you should be returned to your hotel before lunch time. There is no compulsory tipping. Tipping is at your own discretion and choice, but if you felt that you were served by the guide and driver well during your trip any extra income is gratefully received.